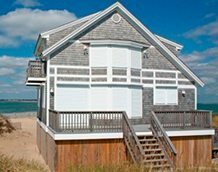 Retractable Awnings | Awnings | Shade and Shutter Systems, Inc.
Our Somfy motorized, retractable awnings with Sunbrella fabric help create an ideal temperature for you to safely enjoy the outdoors from harmful UV rays. Whether you need a Residential Awning to simply enjoy your patio, or a Commercial Awning to attract customers to your business space – we have an Outdoor Awning Solution for you. 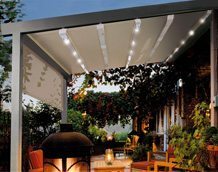 Have you thought about expanding your outdoor living space and comfort with a retractable awning? Retractable awnings are one of the best investments you can make to get more comfort and enjoyment from your home. Retractable awnings, from Shade & Shutter Systems, are designed for ease-of-use and care-free living. Stainless steel hardware, corrosion resistant powder-coated frames, self cleaning fabrics and custom installations are standard features. Conveniently control your awning from up to 65 ft. away. The Empress has all the advantages of the classic metal frame retractable awning system with the added advantage of a cassette to enclose the fabric when the awning is retracted. Also available in the Marcesa design where the addition of a center stabilizing bar adds more headroom at the back of the awning, making it more spacious, stronger, and more stable in the wind. This motorized awning is the most compact looking awning system produced anywhere. The Royal is an in-line system, meaning the mounting, round tube and front profile are all in-line. 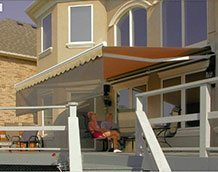 The Imperial Deck & Patio Awning features Heavy Duty arms with a patented poly coated stainless steel belt and Black Polyester coated finish. Geared units use an end stop preventing fabric from being rolled up in reverse. The short width, full projection, retractable awning. Retractable Awnings with Screens provide superior sun protection without impacting the view. The adjustable valance can be lowered up to 5′, using a gear or motor, to solve any sun exposure problem. 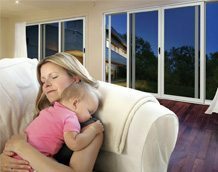 Ideally suited for windows over 10′ the Baron retractable window awning can be operated by tape or cord, from the inside or the outside with motorization available. 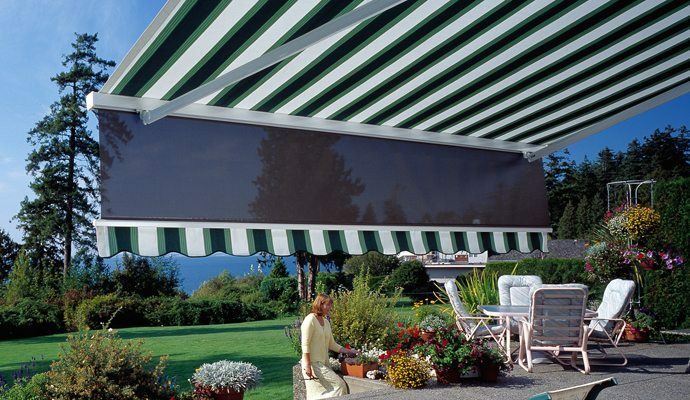 Baroness Retractable Window awnings are designed for window areas smaller than 12′. The Baroness fully retracts into a protective cassette making it virtually disappear. With a maximum projection of 40″. The fringe or body of the Baroness can be used for graphics. The Front Bar Attachment is the connection between the awning arm and the awning front bar. This connection is preset from the factory to ensure full extension of retractable awnings while maintaining precision alignment of the fabric. This ensures the awning fabric rolls up smoothly every time. Somfy is the industry leader for all Retractable Awning motors and controls. These motors come standard with a 5-Year Warrantee, can be remote controlled, integrated into home automation systems, and controlled by smartphone from anywhere in the world. The Retractable Awning Elbow is a critical system component for keeping the fabric taught and evenly tensioned. The elbow also connects the upper and lower sections of the arms together and houses the cable or strap system to ensure constant pressure against the fabric as it pushes away from the axle. 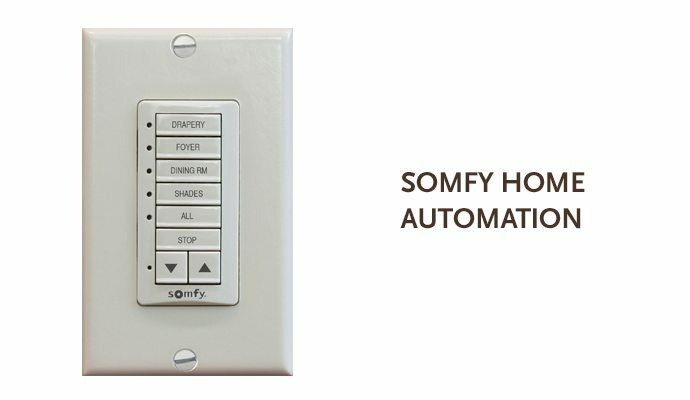 Somfy Remote Controls are easily programmed to any Somfy Motor. Single channel, 5 channel and 16 channel remotes are available to meet any of your configuration needs. Somfy remotes are easy to use and operate with a simple push button design. Water resistant versions available. The Shoulder Joint is the component responsible for holding your retractable awning when in the fully extended position. Some shoulder joints are adjustable with a “hook and eye” system that can be manually adjusted, at any time, by the end user. Others are adjustable only by certified technicians. The Wind Sensor is also a Somfy product designed to protect your awning in cases of high winds. 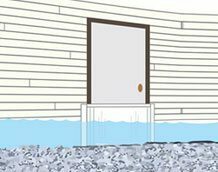 Should your awning be left in the extended and open position, these wind sensors can detect when your awning is at risk of high-wind damage and automatically retract the awning for you. The Protective Hood Cover is only needed for “Open Roll” awnings and is elegantly designed to reduce wear and tear of the retractable awning while it is in the fully closed position. This component will provide UV protection for the fabric and weather protection for all other components. Sunbrella Fabrics are durable, low-maintenance and come standard with a unique coating that breaks down dirt and organic material so they can be easily washed with a sprayer. These Awning Fabrics come in 100s of color variations and styles to meet your design needs. Shade, now available in hundreds of gorgeous colors. Once you have chosen the right shade structure for your home, the next step is finding the perfect fabric. An awning can be a way to add a burst of color to your space. Or if you are looking for your awning to blend in, match the fabric color with your home. Also keep in mind your furniture’s color palette – both inside and out. Sunbrella awning fabrics guarantee you excellent, long-term protection against UV rays, heat, light and inclement weather. Its solution-dyed acrylic fibers (Sunacryl) and special outdoor awning treatment (Cleangard) enable the fabric to retain its original color outstandingly well and over long periods of time. Sunbrella fabric is ideal for all kinds of awnings, wherever they are placed. Your shade structure will be visible from inside the home, so be sure your fabric choice looks just as lovely from inside. All our controls can integrate with your home automation systems such as Lutron and Crestron. 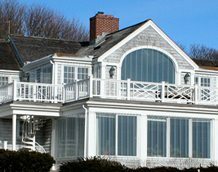 Residential patio awnings sold and serviced in Long Island, New York, Connecticut, Rhode Island and Massachusetts. Commercial awning systems can provide a significant Return on Investment (ROI) allowing your business space to expand into the outdoors. Also sold and serviced in Long Island, New York, Connecticut, Rhode Island and Massachusetts. Retractable patio deck awnings are engineered to the highest specifications. The aluminum awning frame is flexible, and wind and weather resistant. Combined with UV resistant Sunbrella fabrics, our retractable awnings will provide a shady retreat for many years to come. 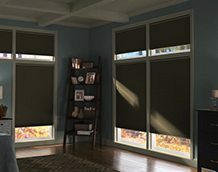 At Shade & Shutter Systems Inc, we stand by every product we sell. 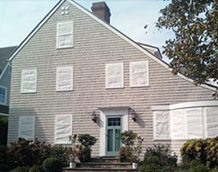 We provide ongoing service to our clients in Massachusetts, Long Island, Connecticut, Cape Cod, Rhode Island and the Hamptons. Improve your bottom line. Commercial retractable awnings expand outdoor serving space, creating a comfortable, shaded experience for your customers as well as additional revenue potential. Plan a space your customers will want to come back to with a wide range of colorful and attractive acrylic fabric covers. Sturdy motorized awning frames will instantly open up comfortable table seating. Rain or shine, keep the party going! Overhead extruded aluminum louvers are motor operated, rotating from fully closed position to vertical, providing adjustable shading and terrific air-flow.. These pergola and gazebo covers are suitable for use in high wind exposures and can be further accessorized with retractable screens or folding glass walls. 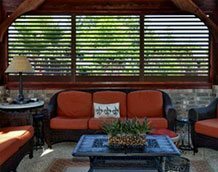 Low maintenance louvered patio pergola covers are a robust alternative to fabric awnings. Blur the line between indoor and outdoor living space. Lumon glass walls offer frameless glass sections which can retract and fold away are an excellent enhancement for screen porches, balconies, gazebos or pergolas. Block the wind and rain and frame a vista that expands your living space. 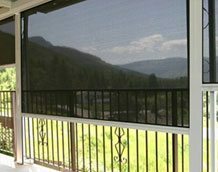 Retractable Screens give you roll up screen protection from mosquitoes and “no-seeums”, or can be furnished with a wide selection of solar screen fabrics to protect from intense sun and UV exposure, or to knock down wind and rain. Manage your comfort and privacy with remote control motorized ease.